Contact Lightning Limos Today At (877) 941-0775. 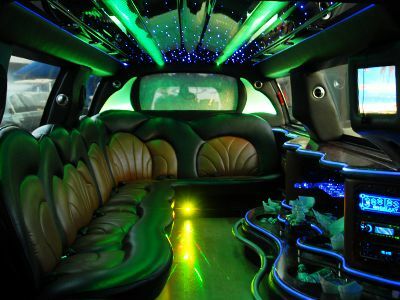 Have you always dreamed of gliding up to an event in luxury stretch limousine? This elegant mode of travel isn't just for the rich and famous--Lightning Limos provides top-quality chauffeur service at an affordable price. Take the hassle out of airport transportation by allowing us to take you to your destination. 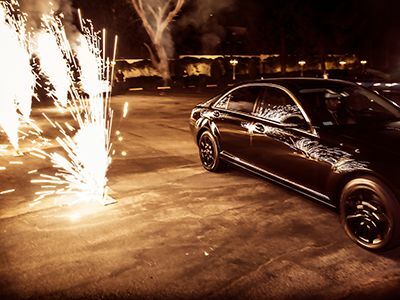 Make a celebration or event all the more special by treating your guests to fresh, exciting transportation. For business meetings, nothing makes a better impression or shows more consideration to your associate than providing a comfortable, clean ride. Request a quote from our friendly, professional staff at Lightning Limos. Our Santa Clarita limo rental service provides chauffeur service to all of Los Angeles County. We are a favorite for high school students on their way to prom and we can help take the stress out of wedding transport, allowing you to fully enjoy your special day without the worry of locating the venue or arriving on time. Lightning Limos promises our customers a clean, enjoyable, and punctual travel experience. Our cars will arrive in impeccable condition and always on time or early. Our drivers pledge to treat you with the utmost respect and friendliness, ensuring that you have a pleasant experience. Enjoy a number of exciting features in our cars, including sound-systems, well-stocked bars, spacious and comfortable environments, privacy partitions, televisions, and more. Our cars come in many different varieties and can accommodate parties both large and small. Our limousine service is perfect for a number of events and transportation needs. Limo rides are a favorite for bachelorette or bachelor parties, giving a special flair and ensuring that your friends can enjoy the night to the fullest and still get home safely. There is also no better way to travel to a sporting event than a limo. There is no need to scramble for parking or fret with the traffic that Los Angeles is infamous for. Let our drivers do the work while you relax, enjoy a drink, and spend time with the people you want to be with most. Are you ready to let us take the wheel while you put up your feet? Contact us at (877) 941-0775 today to book a ride from our Santa Clarita limo rental service!